Alice Whitmore is the Pushcart-Prize nominated translator of two novels—Guillermo Fadanelli's See You at Breakfast? (Giramondo 2016) and Mariana Dimópulos's All My Goodbyes (Giramondo 2017)—and a number of poetry and essay selections, in publications such as Asymptote, Seizure, Reinvention, and The AALITRA Review. Her academic and creative writing has been published by The Translator, New Voices in Translation Studies, the Journal of Iberian and Latin American Research, the Sydney Review of Books, Penguin Specials, Going Down Swinging, Tincture, and Mexico City Lit. 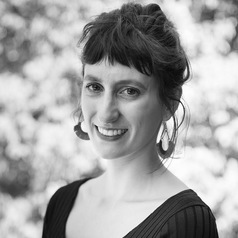 She is the translations editor for the Cordite Poetry Review and an assistant editor for The AALITRA Review, and lectures in Spanish and Literary Studies at Monash University. Her research interests include comparative and contemporary Latin American literature, the literary city, and interdisciplinary translation studies.